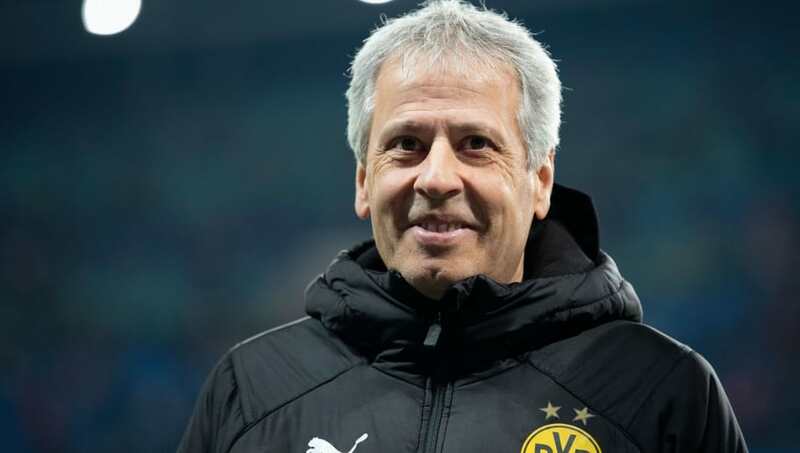 ​Borussia Dortmund manager Lucien Favre has praised his side following their 1-0 victory over RB Leipzig in their opening Bundesliga fixture of the calendar year. Axel Witsel's fierce 19th-minute strike proved to be the difference between the two sides, as Die Schwarzgelben restored their six-point lead at the top of the league table. With the ​three points, Favre's men also condemned Die Roten Bullen to a first ​league defeat at home this season, and the Swiss boss was thrilled with his side's performance, considering it was their first league fixture since the festive break and at a difficult ground. As quoted by ​Borussia Dortmund's official website, Favre told Sky Sports Germany: "We're extremely satisfied. That was a difficult game. The first half was okay, in the second half there were a lot of counters at both ends. "We could've made it 2-0 because we had two major opportunities at the beginning of the second period. The team produced an excellent performance. It's not easy here. It's the first time this season that Leipzig have lost a home game." ​Die Schwarzgelben looked relatively in control and threatened the hosts' goal on numerous occasions throughout the match, but initially started rather nervously, as Die Bullen looked to put the league leaders under-pressure within the first few minutes. As Favre's men looked to find the decisive second goal, they were left exposed defensively and had Roman Bürki to thank after the Swiss produced a host of saves. The keeper, who was heavily criticised after his below-par performances for the side last campaign, produced heroics to deny Kevin Kampl, Marcel Sabitzer and Timo Werner in the second-half, and insisted he was looking to improve, following previous errors. "I'm satisfied we did enough to get the win in the end. I found the right solutions after I slipped. Overall, I've continued to develop this season and I've learned from my mistakes. It helps the team when I make saves. I try to contribute with the best-possible performance and I'm happy things are going so well at the moment. "The coach said in the final meeting before the restart: 'We're going to try to win every game'. Not everything went perfectly today. We gave away a lot and could've been more consistent in seeing one or two chances through. Then the game wouldn't have been on the knife edge it was at 1-0. Ultimately, though, we won again."